By Type, the market is segmented into flexible, rigid, and Spray Foam. By application, the market is categorized into bedding & furniture, building & construction, electronics, automotive, and others (footwear, packaging). By product, the market is categorized into solvent-borne and water-borne. By Geography, the market is segmented into – North America, South America, Europe, Asia Pacific and Rest of the World. 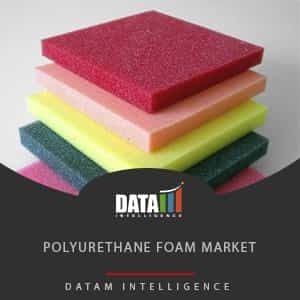 • Visualize the composition of the Polyurethane Foam market across each indication, regarding type and treatment options, highlighting the vital commercial assets and players. • Identify commercial opportunities in Polyurethane Foam market by analyzing trends and co-development deals. • Excel data sheet with thousands of data points of the Polyurethane Foam market – level 4/5 segmentation.